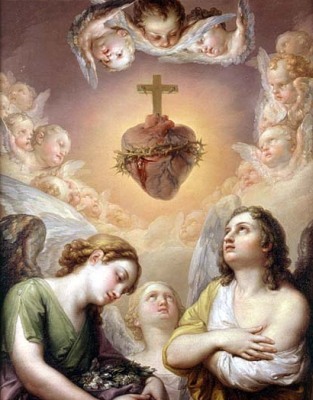 O most holy heart of Jesus, fountain of every blessing, I adore you, I love you, and with lively sorrow for my sins I offer you this poor heart of mine. Make me humble, patient, pure and wholly obedient to your will. Grant, Good Jesus, that I may live in you and for you. Protect me in the midst of danger. Comfort me in my afflictions. Give me health of body, assistance in my temporal needs, your blessing on all that I do, and the grace of a holy death. Amen.